Get your weekly dose of unscripted and unfettered DADA on the radio with everyone’s beloved host of late night, Contessa de la Luna. 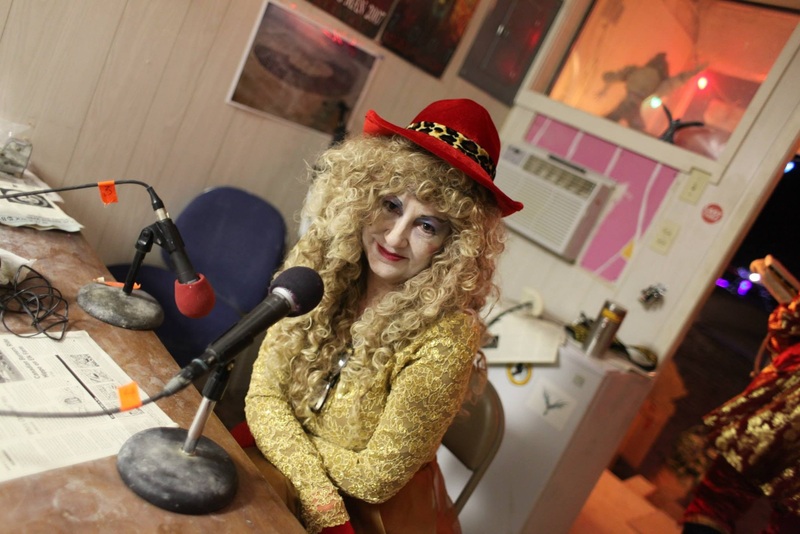 Since 2006 Contessa de la Luna has been taking your phone calls and broadcasting your secrets, guilt, shame and minor felonies every Sunday at Midnight, live on KBOO 90.7 FM in Portland, Oregon. Tune in every week for an ever changing cast of characters imagined and real who call in to talk to Contessa de la Luna live on air. Late night workers, truckers, cab drivers, party animals, travelers passing through, are all part of the mix. Music plays in between and under phone calls by the talented veteran DJ Love Jonze. You can find recent radio show “The Confessional” archives here and Google Play or Itunes. And Video Simulcast on Periscope.tv here.